The New York Life Foundation has donated a $100,000 grant to Hospice Savannah, Inc. to fund a two-year initiative entitled We the Living: A Community based Children’s Grief and Violence Support Network The grant supports developing specialized services to address the urgent and unique bereavement needs of 200 low-income, predominantly African American children and youth in Savannah Chatham County who have experienced the death of a loved one as a result of the escalating rates of homicide and gun violence. 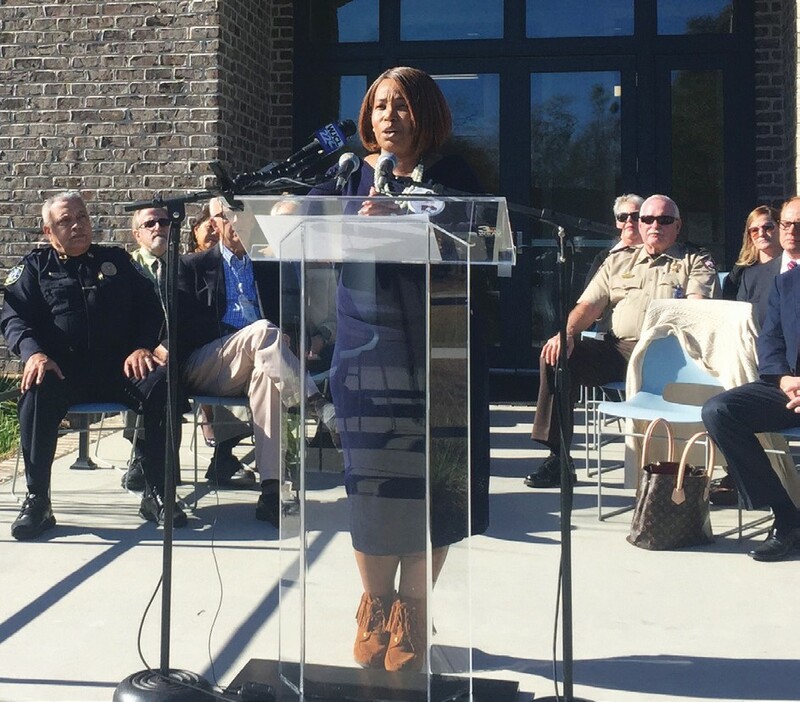 Savannah-Chatham Metropolitan Police Department Chief Joseph Lumpkin, Barbara O’Neal, founder of Mothers of Murdered Sons, and other community leaders today announced the major initiative which will be spearheaded by the bereavement counselors of Hospice Savannah’s Full Circle. A series of grief counseling support groups staffed by specially trained bereavement counselors will be offered within the familiarity and accessibility of the neighborhoods in which the children live. In addition, 100 neighborhood-based bereavement volunteers will be identified and trained to serve as a new network of ongoing and sustainable support. significant access barriers such as isolation, poverty, lack of transportation, and institutional mistrust, neighborhood partnerships will be instrumental to the success of this program. The following organizations are partnering with the Full Circle counselors in identifying and reaching out to children and youth who have lost a loved one to violence, in identifying community leaders, family members, staff or others to participate in training to become bereavement support volunteers, and/or in sharing support group meeting space: · Frank Callen Boys & Girls Club, which serves more than 1000 predominantly low-income and/or minority children and youth in Savannah in neighborhoods directly impacted by gun violence · Mothers of Murdered Sons of Savannah – a grassroots support, awareness and advocacy group of parents of children, youth, and young adults who have been murdered · Savannah-Chatham County Public Schools guidance counselors, with whom the staff of Full Circle have an ongoing relationship for in-school support groups and referral to our other grief and bereavement services · Asbury Memorial United Methodist Church, a diverse congregation located in the heart of downtown Savannah with an active outreach program to their neighborhood which is directly impacted by violence · The Dream Campaign – a faith-based mentorship program working with atrisk youth in the inner city · Loop It Up Savannah – a grassroots, community creative arts outreach program engaging children from low-income neighborhoods through arts and crafts. Volunteers interested in participating in the “We the Living” project may contact Full Circle Grief and Loss Center at 912.303.9442.